The New Testament is filled with references to “Moses and the Prophets”. Jesus quoted Deuteronomy, written by Moses, more than any other book of the Bible. No one was there when God created the universe, but God inspired Moses to write his account. Moses served as prophet, priest, and political leader, just as Jesus is our prophet, priest and king. No one ever knew where Moses’ grave was located…because God buried Moses himself. Of all the people in the Bible, Moses is special. His life, his experiences, his ministry—the things God did through him; all of it was exceptional. But of all the things that made Moses special, perhaps the greatest was this, “The LORD would speak to Moses face to face, as a man speaks with his friend” (Exodus 33:11). As we study the life and ministry of Moses this summer we will see his dedication to the LORD, his faith, his love for God’s people, and also his faults—and there especially we will see the undeserved love of God. I say “Ebenezer” you say…what? “Scrooge”? “Road”? I doubt any of us would say, “Ooh! Let’s rename our church!” But a few generations ago people did label their churches with that word, “Ebenezer”. Perhaps this illustrates a phenomenon many have noticed in our society: biblical literacy is going down. There was a time when Shakespeare could put Biblical words in Macbeth’s mouth and assume that his audiences would understand Macbeth’s feelings—“If it were done when ‘tis done, then ‘twere well it were done quickly.” Do you recognize the reference? Can you feel Macbeth’s sense of betrayal? Do you hear Jesus’ words, “What you are about to do, do quickly”(John 13:27)? Shakespeare assumed you would. Now, understanding classic literature is great, but the point is: It would be good for us to increase our own biblical literacy—to know our Bibles better. We will not start with the obscure reference in 1 Samuel 7:12, where a memorial stone is named Ebenezer, stone of help. Instead, let’s build with bigger blocks first. Let’s work on our foundation by examining the 100 Essential Bible Stories. For what does this lead me to give thanks? What does this lead me to confess? For what does this lead me to pray? There's nothing more valuable in war than military intelligence. Even if you're out-gunned and out-numbered, if you know what the enemy is going to do, victory can be yours. In the book, The Screwtape Letters, C. S. Lewis writes as if he is revealing the Devil's tactics. It is amazing how well he seems to understand the Devil, until you realize what he really understands is human nature! Since its first appearance in 1941 (and eight reprints in 1942 alone) The Screwtape Letters has opened the eyes of readers to the sinister plots of the Devil and his henchmen, the demons. C. S. Lewis intended this book to be of spiritual benefit to those who read it. “Lewis is in earnest with his belief in devils, and as anxious to unmask their strategy against souls as our intelligence department to detect the designs of Hitler” (The Guardian, 13 March 1942). May we be on guard against the Devil and rejoice in Jesus’ final victory! Every family has a skeleton or two in its closet. When you dig back into the dust of time you can often find hints of the secrets and scandals buried there. Jesus’ family tree had more than its fair share of skeletons, but one thing is different. They aren’t hidden. They are right out in the open for the world to see. Why? Because God wants us to see ourselves, our families and our lives in this family tree. He wants us to learn and grow. He wants us to see that all people can find peace in his family. A woman visited our congregation two years ago on Ash Wednesday and asked me that question after the service. 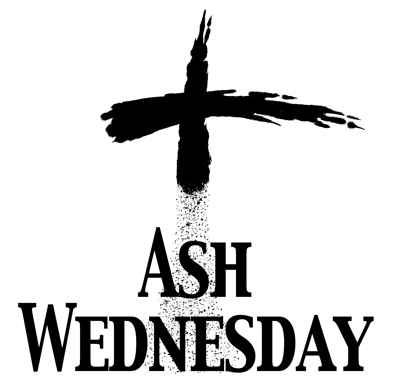 So, why would we have an Ash Wednesday service without ashes? Should we practice the imposition of ashes? Do we have to? What is the Imposition of Ashes, anyway? What does it mean? These are our questions for today. We will examine Scripture, because only God can tell us what we must and must not do. Only God can tell us what we are free to do. We will also look at Christian history to see what our brothers and sisters who came before us have done.